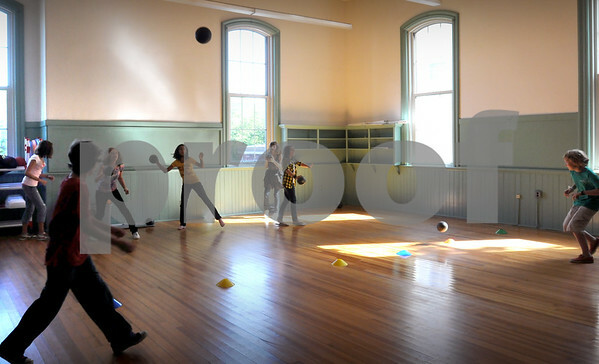 Newburyport: The spacious classrooms at the Kelley School make a decent-sized gymnasium for a game of dodgeball. The new school is now used for a drop-on center for middle school-aged children. Bryan Eaton/Staff Photo Newburyport Daily News Tuesday September 1, 2009.